When a kindergarten class gets rowdy, Mrs. Ruler knows just what to do. Soon the entire class is doing so many good deeds that their kindness bulletin board barely fits their classroom! From clearing the table after dinner, to helping the elderly, one kindergarten class is proving that kids really can make a difference. Count along with Mrs. Ruler’s class. Can all their good deeds really add up to 100 acts of kindness? Acclaimed picture book author Margery Cuyler will inspire children of all ages to have a heart and save the world! 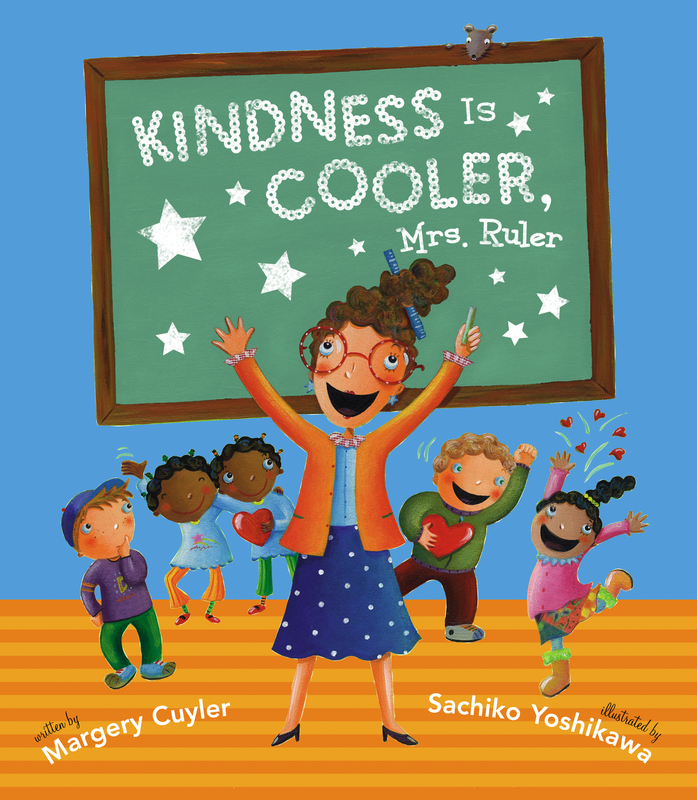 Sachiko Yoshikawa is the illustrator of such books as No T. Rex in the Library by Toni Buzzeo, Kindness is Cooler, Mrs. Ruler by Margery Cuyler; Shout: Little Poems That Roar! by Brod Bagert; and What is Science? by Rebecca Kai Dotlich. She has also illustrated the pop-up book Sammy's Suitcase by Lisa Rojany-Buccieri. Sachiko lives in Washington.